Custom dash kits really are the ultimate do-it-yourself accessory. When you want to upgrade, refresh or simply personalize your vehicle's interior there's no better way than with a custom-designed trim kit made just for you. At Rvinyl, we've built our company on the notion that nobody can customize your ride better than you and we've done everything in our power to bring you the best in terms of selection, affordability, performance and value. Because we offer custom trim in a variety of styles, materials and price ranges we have something for everyone. Whether you own a late model, luxury BMW 3-Series, Macan or A4 and you want to add the look of real carbon fiber trim or a classic Integra, Celica or a Ford Mustang and want something to update your dash trim, Rvinyl has an option to suit both every taste and budget. Rdash® custom dash kits are available in a huge variety of finishes such as wood dash kits, carbon fiber dash kits, chrome and brushed aluminum just to name a few. In addition to these popular styles, Rdash® also offers specialty finishes such as diamond plate, engine turn, sticker bomb and premium, solid colored films. Perfect for adding a touch of personal style to your Ford, Toyota or Hyundai's interior and designed by a company with over a decade of experience in the field, you can be sure of getting the right fit every time. And, because our accent kits are custom made for your year, make and model vehicle, you'll enjoy a simple, straightforward installation experience. Probably the best thing about Rdash® trim is that they are semi-permanent so whether you want to sell your car or simply change the look and feel of your interior you can do so without causing permanent damage to your interior. You simply won't find that with any other brand on the market. Benevento is a name that is as old as the dash trim kit industry itself. With over 30 years in the business, Benevento pioneered the use of real wood trim and genuine carbon fiber in the manufacture of their premium quality interior accessories. Still made right here in the USA, Benevento is proud to carry its tradition of excellence into the 21st Century. Although Benevento uses CAD technology in its design and a high-powered laser to cut its dash trim kits, much of the process is still artisanal and relies on small batch production methods. Once your kit has been laser cut for precision, it is brought to a special clean room to be domed. The doming process is what gives Benevento dashboard kits their distinctive high-gloss, OEM finish and is the result of a polyurethane which is hand-poured individually over every piece of trim. The results are simply amazing and are the reason why Benevento has been a supplier of factory dash kits to BMW, Chevrolet and GMC. When you want professional quality results without paying thousands of dollars, you want a Benevento. In addition to Benevento kits, we're also excited to offer DL Auto's extensive product line. All of DL Auto's high-quality, interior trim kits come to you precut and coated in a protective, high-gloss urethane finish which means that your kit will last the lifetime of your car or truck. When you're looking for that high-class, showroom quality finish, DL Auto is the natural choice. Made in the USA with flawless craftsmanship, your purchase of a DL Auto accessory from Rvinyl is one you won't regret. Automaxus is relative newcomer to the scene. Automaxus has launched a revolutionary product line that looks to bring the best features of polyurethane trim kits like those made by Benevento and Rdash® vinyl trim products together. In other words, Automaxus uses the same CAD and laser technology as DL Auto and Benevento but without the labor and cost-intensive doming process. What this means is that you get the ease of installation of a thicker poly kit that uses VHB foam tape backing but without the thick, lacquered finish. In other words, you can finally have the low profile and flat finishes offered by Rdash® without the hassle of installing an ultra thin kit. Finally, a way to add the European aesthetic of unvarnished woodgrains to your Volvo, VW, Fiat or Mercedes. American Car Craft is well-known throughout the auto accessory world as purveyors of high-quality, custom-made stainless-steel accessories. 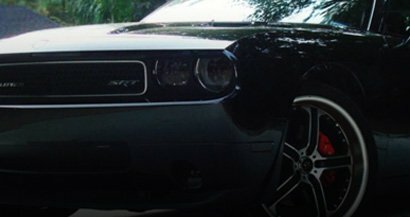 Based right here in the USA, American Car Craft is dedicated to making automotive trim from only the highest quality materials and to standards unparalleled in the world of aftermarket accessories. If it's stainless or chrome you're looking for then American Car Craft would be the perfect finishing touch to your custom ride. Designed and manufactured by the some of the most innovative companies in the world of automotive customization, we're proud to offer interior upgrades from Rdash®, Benevento, Automaxus, DL Auto and American Car Craft. We've done our homework and taken the time to bring you only the best in terms of quality, price and design so you can rest assured knowing that whichever option you choose the end result will be a great looking dashboard and a wallet full of bills. And, remember, every product you purchase from us is eligible to receive our instant cash back photo rebate. Sound like a mouthful? It might but the details are surprisingly simple. Just buy any custom kit from us, install it and take 5 or more photos of it from multiple angles. Once you have your photos ready either upload them or email them in to us. Within a few days' time, we will have reviewed them and issued your $20 refund. What could be easier than that? Providing you with the highest quality dash kits on the market is our goal. We understand that when you purchase an interior accent trim for your car or truck you're not making just any purchase - you're making a statement about who you are and how you want the world to see you. Customizing cars has been a passion of our since we started back in 2003 and we are proud to be able to share it with customers like you every single day. Whether you're looking to upgrade an older car or tune a new one we want to be the people you come to first for the best-priced and most innovative products on the market. As with any place in which you spend significant amounts of time each day, the interior of your car should look appealing. Whether you're commuting to work or driving around for leisure, the passenger compartment is a place where you're liable to spend several hours each week, and the panels of your dashboard, glove compartment, steering wheel and doors should look sleek and clean. With a new dash kit, any car new or old can be transformed into something totally unique and eye-catching. 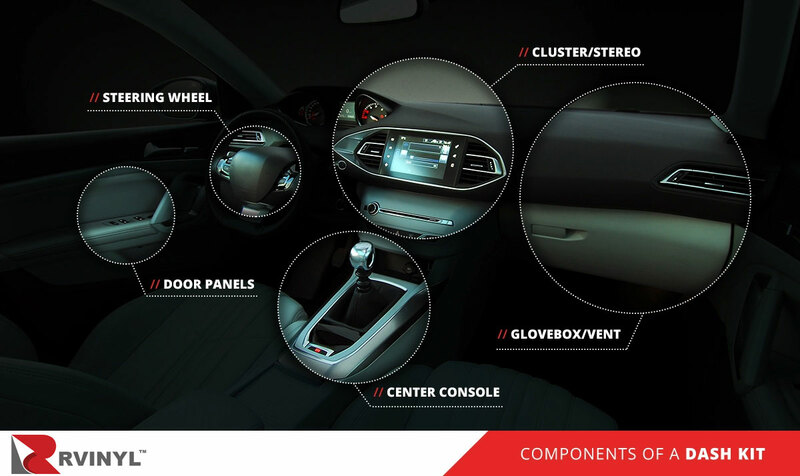 If you're curious about what a dash kit could do for your vehicle, visualize the components and consider the benefits. Once you're serious about upgrading your dash, decide on a style and then decide whether to install the panels yourself or have them professionally applied. Cluster/stereo. For anyone who sits in the front seat of an automobile, no part of the interior draws more attention than the stereo. When color or patterning is added to this area, it brings character to this most frequently viewed area. Center console. The panel that surrounds the clutch is another area that the eyes frequently shift to when stepping into a car. With dash kit pieces placed over the panel that surrounds the clutch, this significant part of the passenger compartment is rendered less drab and more colorful. Glove box/vent. The front and surroundings of the glove box and vent are second only to the stereo in terms of attention that is given to parts within the passenger area. A car can look a lot more visually appealing with the placement of dash kit pieces on this prominent area. Steering wheel. Whenever you're the one driving, the steering wheel is right in front of you the entire time you're in the car. A dash kit piece in the center panels of the steering wheel can turn this mundane feature into something much more visually pleasing. Door panels. The inner-door panels might not be the most noticeable part of a passenger compartment, but the application of color can bring them in line with your overall interior scheme. With dash kits, the doors form a bigger part of the style and overall appeal of your car. Some kits cover more areas than others, but it's really up to the customer. Whether you want a kit that will cover numerous features or just the panels that surround your stereo and clutch, custom dash kits can add visual appeal to your car or truck. A new dash kit can bring numerous benefits for drivers and passengers in a vehicle. For starters, they can make a car look newer, hipper and more visually appealing. Panels can also hide flaws, adding value to a car when you place it back on the market. Perhaps the most convenient thing about dash kits is that they're easy to replace if they ever get damaged or you have a change in taste. Improved appearance. With the addition of a custom dash kit to your car's interior, the passenger compartment takes on a whole new look and feel. Not only do the dashboard and doors look better, but everything also feels cozier and more entertaining. With colorful or specially customized dash kit panels, your passenger compartment could ultimately have a very unique look among automobiles. Panel protection. Dash kits also add a protective layer to the panels in your car, which makes the passenger compartment more durable over the course of your time with the vehicle. If dust accumulates or drinks get spilled, all you need to do is wipe off the panels and they're good as new. Hide flaws. If scratches or nicks are present on any of the panels in your car's interior, they can easily be covered up permanently with the application of dash kits. No longer do you have to worry about a minor dashboard nick lowering the resale value of your car, because no one will know that anything happened. Easy to change. The application of a dash kit is one of the most risk-free alterations that you can make to an automobile. If you end up disliking the color or pattern of a particular kit, you can change it for another one. If a panel gets scraped or worn, you can have it replaced with something identical or different. Resale value. An upgraded look can improve the resale value of your car. If the dash kits makes your car look unique on the inside, it will make the car stand out to potential buyers. By adding color and shininess to the interior, the kit could also make your car look like it was built more recently. If you keep the same automobile for many years, the installation of a new dash kit every few years could keep the interior fresh and revitalized. Even if you stick to one look or design, updated dash kits make cars stand out from the rest, regardless of whether you opt for bright or neutral colors. When it comes to the application of your kit, you basically have two options: hire a professional to perform the installation, or do the job yourself. For anyone new to this, it might seem most sensible to simply hire a pro, but there are both advantages and disadvantages to going that route. While you can certainly get reliable, guaranteed work from a pro installer, there are plenty of benefits that come with doing the task yourself. The following pros and cons of both options are among the things to consider as you decide whether to hire a pro or take things into your own hands. Skilled application. When you have dash kits applied by professionals, the job is being done by expert hands who've applied these panels on hundreds of vehicles. Therefore, you're likeliest to get a near perfect application of panels when you leave the job to a professional. Guarantees. Professional applications are usually done with guarantees of perfection, whereby any defects in the application will be rectified free of charge. Warranties. Most installers back their products and installations with warranties, where any damage that occurs within a specified timeframe will be covered by replacement kits and reinstallations. Overpricing. When you have a dash kit installed by a professional, there's a chance that they might overcharge you. Therefore, you need to compare the prices of installers in your area to ensure that the pricing you are receiving is reasonable. Warranty stipulations. Not all warranties are fair or protective. In fact, some warranties have so many exceptions that they hardly give you any coverage at all. Beware of any warranties that don't extend coverage to vaguely worded categories like "damage caused by external factors." Flexibility. DIY installation gives you the ability to pick and choose the kits you want and install them the way you want without the pressure of outside influence or the opinions of experts, who sometimes try to push their own vision onto the cars they service. Save money. By foregoing the services of a professional installer and doing the work yourself, the savings can be significant. After all, it can be hard to tell whether you're being overcharged by an installer. When you do it yourself, you don't have to worry about bum deals. New skill. Once you've mastered the art of applying your dash kit, you've gained a new skill that can be of great use in the future. If you end up owning half a dozen automobiles over the next few decades, you'll have the convenience of being able to save money and enjoy greater flexibility with the kits you install. Costly mistakes. When you tackle an installation for the first time, there's bound to be a learning curve. If you do make a mistake, you might have to go through the difficult process of removing a panel that has already adhered and re-apply it to the spot in question. At worst, you might end up making mistakes that could end up costing you additional money. Lack of warranty. With self-installations, there's no warranty on the labor. Therefore, if an application proves faulty, there's no place to turn for a free replacement installation and you're stuck buying a new kit and starting the process over from scratch. When you go about selecting a dash kit for your car or truck, one of the most important things to consider is color, because this will determine whether the panels stand out or blend in with the interior. Therefore, the thing to ask yourself is whether you want panels that stand out or look neutral within the surroundings. Match the inside. One of the most suitable choices in dash kit color is that which matches the pre-existing interior. If the seats, carpets and dashboard are all gray or black, a matching kit would be the most neutral and agreeable of choices. Match the outside. An alternate way to provide continuity is to match not the interior of the vehicle, but the outer paint job. For instance, you might have a black interior and a bright red exterior, in which case a red dash kit would carry through on the car's outer theme. Complement the interior. You could also opt for a patterned look that reflects some interior theme within the passenger compartment. If the inner paneling is of a forest tone, for instance, a way to complement that could be a dash kit that displays fake wood or forest green prints. Contrast the inside. An upgraded dash can serve as the visual focal point of the passenger compartment when you choose colors that contrast with the interior. For example, if the car has a dark blue interior, a bright orange kit would provide the ultimate contrast, as would any other bright color such as lime, red or light purple. Color choices are all a matter of subjective preference, but it's always best to know about the effects that color can have in your interior, regardless of whether you like things on the brighter or more neutral side. Treat with care. These kits are made to last a long time, but they should still be treated with care. Therefore, refrain from allowing junk, candy wrappers or food bags to pile up on or near the panels. Avoid placing drinks that could easily spill near the panels. In addition, refrain from sliding your fingers across the panels in all but the rarest cases, as fingerprint oils are never a good thing when it comes to the shine of surfaces. Wash with towels. Dash panels should be dusted periodically and cleaned as needed for optimal shine and durability. A dry towel will do, unless you're dealing with a spill or stain. If you must use a cleaner, check to see whether it's suitable for the material (epoxy resin, Polyurethane, etc.) of the kit panels. With proper care, the dash kit in your car, van or truck could end up looking just as fresh as the day you had them installed in your vehicle when the time comes to sell it. For high-quality dash kits in a range of colors and styles, look no further than Rvinyl. As a long-time provider of affordable kits, tints and graphics, our removable DIY products are backed by a three-year warranty. With more than 100,000 positive reviews on eBay, people like the dash kits we offer. Browse through our inventory above and decide which kind of kit best suits your vehicle. I was skeptical about the quality of the dash kit when ordering it, but ended up being pleasantly surprised by the quality. There was an actual woodgrain feel to the dash kit. Some of the pieces didn't match exactly, but was a near exact fit. Also, user error: In my haste, I had installed it in colder weather when I had free time and not during warmer temperatures and using a hair dryer or anything. Otherwise, looks pretty good and I think it will protect my dash from scratches and baking in the sun all day. Outstanding quality. Fits like it came from the factory. Overall the dash kit was pretty good and came with every sticker you would need. The fit wasn't super precise and I had to stretch some areas and realign it quite a few times. I only used the radio area and the side button stickers. I purchased 2 dash kits. One for a 2010 Ford Ranger and one for a 2011 Chevy Cruze. The kit for the Cruze was quite detailed and came with 2 sheets full of detailed graphics. Everything for the Cruze went on fairly easily and looks really good. Very happy with the Cruze kit. However, the Ford Ranger kit had major issues. Some pieces were a little to small and would not line up neatly. Over half the pieces did not apply because I had a 5 speed not an automatic. Within 12 hrs, pieces that were in on a rolled area started to come undone. During the installation on the Ranger, I emailed and used the online chat on the website with RVINYL and was quickly gotten back to after normal working hours. Very professional and courteous. They refunded me the price for the Ranger. While the product color and detail are right on, it can be seen through on a black dash. These pictures were taken inside a garage and one picture outside on a cloudy 55 degree day. This was my first attempt and I deliberately chose a tight area to do. A lot of patience, well lit area, tack free rag, a new thin razor knife and a 1200 degree heat gun (or hair dryer) will definitely help in the application. I realized all my flaws once I pulled it outside. I will switch to wood grain and try again. 2x the charm as they say. Overall, I am very well pleased with the new look of the interior of my Expedition. Most of the pre-cut pieces fit perfectly, however a few of them were cut a bit smaller than the area of application...specifically, look at the door handle in the last photo. Those pieces were much smaller than the area they are designed to cover. I was unable to install a number of the other pieces which go over the dash and door panels with a raised bead surface. While the pieces fit OK, they just do not stick to the raised bead surface. So, after some of them came off on their own, I removed the others too. However, I am still very well pleased with the new appearance of my Expedition's interior.